We are excited to announce a new online newsletter at MSD of Mt. Vernon Schools. Learn the latest news and events happening at all of our MSD of Mt. Vernon Schools! Click below to enjoy our current issue. We are excited to announce a new online newsletter at MSD of Mt. Vernon Schools. Click below to enjoy our current issue. The students of today are the leaders of tomorrow! We are passionate learners. It is hard to believe that another school year is coming to a close. I want to thank the Mount Vernon community and parents for all of their help making the 2018-19 school year a huge success. We could not do it without all the volunteers and mentors that come into our buildings every day. We have many events for students in the coming weeks and I have included several events below. We invite you to attend as many as you can. We will update our Facebook pages and web pages throughout the summer with dates and times of future events as well. Again, thank you for all of your support and I hope everyone has a wonderful summer!!! USI Carter Hall - 8:00 -11:00 p.m.
Vocal Concert – PAC – 7:00 p.m.
for 2019-2020 – JH – 6:30 p.m.
JH and HS athletes – HS - 6:00 p.m.
for specific times, grades, etc. 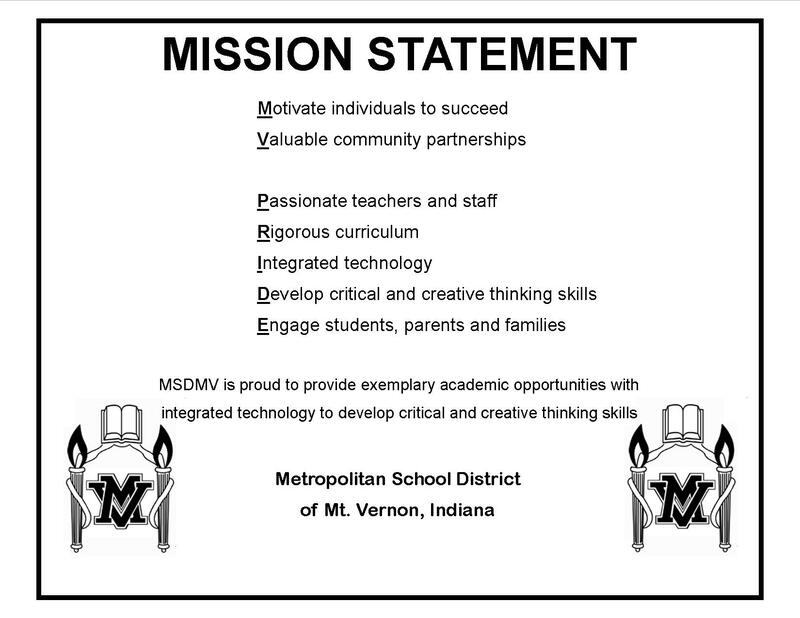 The Metropolitan School District of Mt. Vernon is dedicated to providing a safe, caring, positive, cooperative, pleasant, and challenging learning environment with high expectations for all students. Every school has its own home-school advisors, counselors, and nurses. 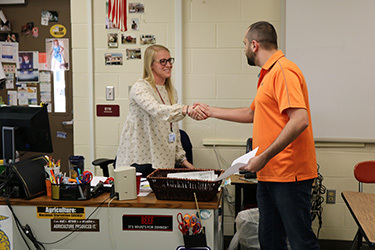 Students in our district have access to a full array of services for special needs students, as well as programs for special needs students, as well as programs for coping with behavioral, social, academic, or other life stressors. Driving the achievement, the MSDMV sits at the forefront of cutting-edge technology-based education. Technology is heavily integrated into the instructional process across all grade levels. 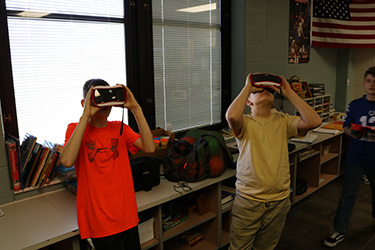 State of the art hardware, infrastructure, applications, and software presented by tech-savvy teachers allows each student to have unique, real-world experiences that combine the use of technology with basic skills instruction. As a result, our students experience higher levels of engagement and academic achievement. Currently, our school district has a 1:1 technology initiative in place at MVJHS and MVHS, with plans to expand to all grade levels. MSDMV is proud to have highly qualified, responsive teachers and results oriented administrators. The staff of MSDMV firmly believes two-way, open communication and maintaining positive parent-teacher-student relationships. Our district is focused on professional development and continued growth of all students and staff. Furthermore, the recognition of student and staff achievement is a priority in our schools. 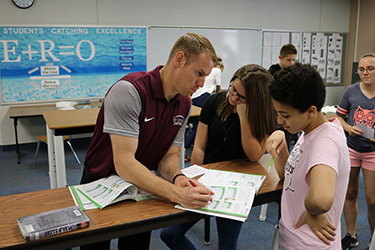 In addition to a strong social media presence on Facebook, MSDMV and its students and employees are committed to on-going community involvement.